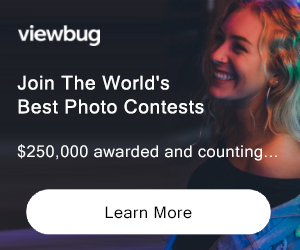 ePHOTOzine are running a Portrait photo contest for the month of May. Show them themed portraits, portraits of family and friends, even pet portraits. Take them in the studio, on location or maybe even have a go at some candid street portraiture. Black and white, sepia, or colour; anything goes as long as your image depicts a portrait of some form. Get creative and show us your best ‘Portrait’ shots! This month ePHOTOzine have 3 copies of DxO Optics Pro 9 Elite, and 2 copies of DxO Optics Pro 9 Standard software to give away! DxO Optics Pro 9 award winning software allows you to push the limits of your camera and enhance your RAW and JPEG images with ease. You can effectively remove noise, boost colours, and optimise exposure and contrast in simple, fast and intuitive steps. All entries must be submitted through the ePHOTOzine competition web page Not eligible to enter? - Find contest where you are. COPYRIGHT: No copyright Policy USAGE RIGHTS: All entrants agree that their name and images can be displayed and used in promotion for future competitions on ePHOTOzine. The winning entry may be used by the sponsor as a promotional image. The terms of this would be agreed with ePHOTOzine and the sponsor before the prize is announced.